Want to think outside the (chocolate) box this Mother's Day? Has your mum had her fill of breakfast in bed, pyjamas, perfume, chocolates, and flowers for her special day? Or is your mum a little 'out there' in her entertainment choices? If you can answer 'Yes!' to any of these questions you might want to consider one of the following quirky Brisbane Mother's Day events this year for a walk on the wild(er) side with mum. This is a case of "Mummy, meet the mummies" at Queensland Museum for their entertaining and somewhat surprising spin on Mother's Day 2018. If your mum missed out on tickets for the latest Mummies: After Dark sold out event then why not help her celebrate Mother's Day a little early at this pre-Mother's Day event on the evening of Saturday 12 May. As part of the hugely popular Egyptian Mummies: Exploring Ancient Lives exhibition currently on display at Queensland Museum, your Mum will be treated to exclusive after-hours access to the exhibition and special exhibition highlights presented by a Queensland Museum curator and archaeologist. She can also discuss and learn about champagne, and we all know the only thing better than that is drinking it. Well, Queensland Museum has that covered, too because mum's ticket includes canapes on arrival and a glass of Ernest Rapeneau - NV Champagne. Cost: Adults (this is strictly an 18 event) $55 or Twice as nice (2 tickets) $100. MyMuseum Members - Adult $49.50; Twice as nice $90 (members must present their card and ticket on entry). Image from Qld Museum website. Anywhere Theatre Festival throws up some entertaining presentations in surprising venues each year, so if your mum is interested in theatre that's a little on the wacky side surprise her with tickets for Kiss of the Vampire Squid, and she'll get to see the historic HMAS Diamantina at the same time. This is dark comedy replete with horror tales of the sea, clever improvisation, and with live music to boot. The show is presented by Act/React Theatre Company, the people behind the hilarious "Speed: The Movie, The Play" (Brisbane Comedy Festival 2015) and other movie mash-up tales. 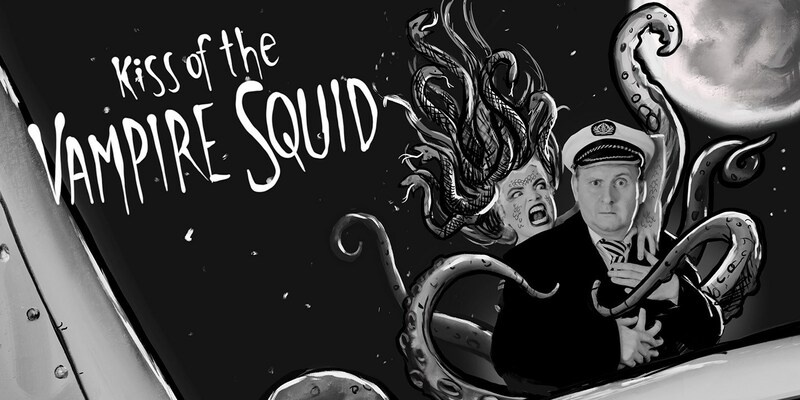 Come aboard the quarterdeck of the HMAS Diamantina in the Dry Dock at the Queensland Maritime Museum for the mystery of Able Seaman Jack, The Widow's Delight, curses, superstition, and the fabled Vampire Squid. Image from Anywhere Festival website. Fancy a picnic with a twist this Mother's Day? 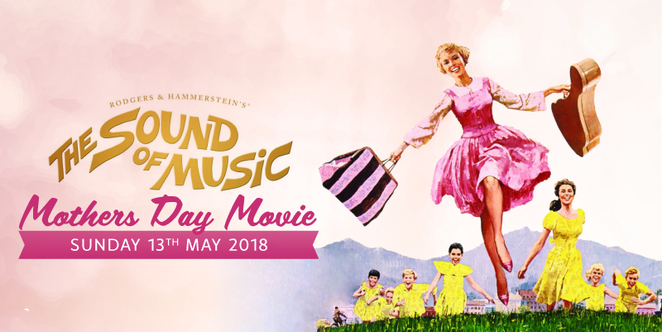 Then take mum to Eagle Farm Racecourse, not for horse racing, but for that evergreen film, The Sound of Music, bigger and better than ever on the biggest screen in the southern hemisphere. Mums of a certain age can relive their childhoods with this classic musical that tells the story (albeit a heavily Hollywood-ised version) of postulant Maria and the Von Trapp Family. Mum can sing along with How Do You Solve a Problem Like Maria? and My Favourite Things while picnicking on the Public Lawn. Food and drink will be available to purchase. Cost: General admission $10; General admission Movie Pack (includes large popcorn and a beverage of your choice) $20; General Admission Hamper Package (admits 2 people and includes gourmet hamper package with charcuterie, farmhouse cheese platter and breads) $55. Cost: Varies. See article for details. Very quirky Geraldine. 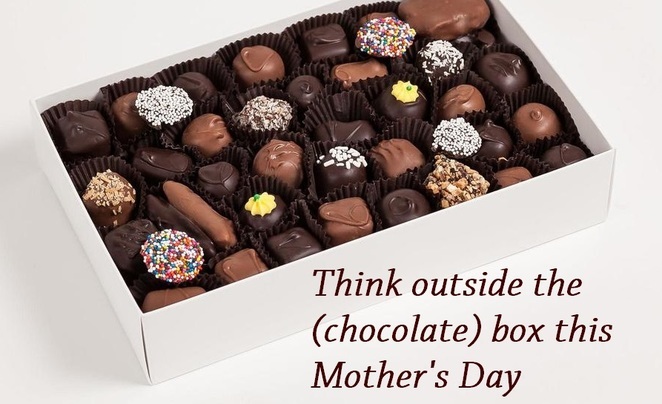 I hope you get one of them for Mother's Day.